On 10th April, 1848, a group of Christians who supported Chartism held a meeting in London. People who attended the meeting included Frederick Denison Maurice, Charles Kingsley and Thomas Hughes. The meeting was a response to the decision by the House of Commons to reject the recent Chartist Petition. The men, who became known as Christian Socialists, discussed how the Church could help to prevent revolution by tackling what they considered were the reasonable grievances of the working class. Frederick Denison Maurice was acknowledged as the leader of the group and his book The Kingdom of Christ (1838) became the theological basis of Christian Socialism. In the book Maurice argued that politics and religion are inseparable and that the church should be involved in addressing social questions. Maurice rejected individualism, with its competition and selfishness, and suggested a socialist alternative to the economic principles of laissez faire. Christian Socialists promoted the cooperative ideas of Robert Owen and suggested profit sharing as a way of improving the status of the working classes and as a means of producing a just, Christian society. Maurice's biographer, Bernard Reardon, has argued: "In 1850 Maurice publicly accepted the designation Christian socialist for his movement.... He disliked competition as fundamentally unchristian, and wished to see it, at the social level, replaced by co-operation, as expressive of Christian brotherhood... Maurice held Bible classes and addressed meetings attended by working men who, although his words carried less of social and political guidance than moral edification, were invariably impressed by the speaker. But the actual means by which the competitiveness of the prevailing economic system was to be mitigated was judged to be the creation of co-operative societies." 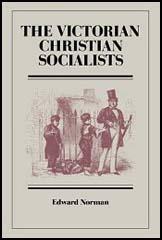 The Christian Socialists published two journals, Politics of the People (1848-1849) and The Christian Socialist (1850-51). The group also produced a series of pamphlets under the title Tracts on Christian Socialism. Other initiatives included a night school in Little Ormond Yard and helping to form eight Working Men's Associations. In 1850 Thomas Hughes, Edward Neale, Lloyd Jones, and other members of the group helped to establish the London Cooperative Store. Disagreements between members resulted in the Christian Socialists being inactive between 1854 and the late 1870s. The 1880s saw a revival of the movement and by the end of the century a variety of Christian Socialist groups had been formed including the Socialist Quaker Society, the Roman Catholic Socialist Society, the Guild of St. Matthew, and the Christian Social Union. Christian Socialists also dominated the leadership of the Independent Labour Party formed in 1893. This included James Keir Hardie, Philip Snowden, Ben Tillett, Tom Mann, Katharine Glasier, Margaret McMillan and Rachel McMillan. The Christian Socialist movement also influenced many of the leaders of the American Socialist Party such as Norman Thomas and Upton Sinclair. On the outbreak of the First World War a large number of Christian Socialists joined the No-Conscription Fellowship (NCF), an organisation formed by Clifford Allen and Fenner Brockway, that encouraged men to refuse war service. The NCF required its members to "refuse from conscientious motives to bear arms because they consider human life to be sacred." Wilfred Wellock, a Christian Socialist, joined the Independent Labour Party. "As I moved about the country after 1920 it was next to impossible to secure a response to any kind of spiritual appeal... The only organisation that appeared to be advancing was the Independent Labour Party... The rapid march of the socialist movement in Britain at this time, with the Independent Labour party as its spearhead, owed its success to its essentially spiritual appeal. The ILP inherited the spiritual idealism of the early Christian Socialists and of the artist-poet-craftmanship school of William Morris... This was the only kind of socialism that appealed to me... I am a socialist, provided you give a spiritual interpretation to the term... I have only recently decided to enter practical politics since I have seen the possibility of making politics, through the introduction of spiritual considerations, a veritable means of social transformation." In 1921 Wellock published Christian Communism. He argued that is " our business is to create a Christian Communist consciousness, and to let the revolution, or what there be, come out of that... We must concentrate upon the ideal, preach and teach it everywhere, proclaim it in the cities, in the churches, at the street corners - go into the highways and the hedges and compel the people to see life anew, and in the light of a finer ideal to re-create the world." There was a revival of Christian Socialism after the outbreak of the Second World War. The writer, John Middleton Murry, argued for "socialist-communities, prepared for hardship and practised in brotherhood, might be the nucleus of a new Christian Society, much as the monasteries were during the dark ages." 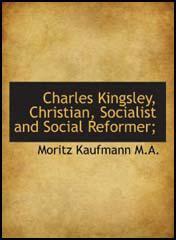 (1) In his book, Father Figures, Kingsley Martin, the son of a Unitarian minister, explained the role of Nonconformists in the history of social reform. (3) In 1910 James Keir Hardie explained the influence that Christianity had on his political beliefs. I am sending with this letter some of Mr. Gilray's pamphlets on Socialism. I am very glad to have had them, and could never have collected them for myself. I think that, very soon, when these teachings and ideas are better known, people generally will declare themselves Socialists. They are bound to do it, if they think at all. I instinctively felt they were good people, and now I believe they are the true disciples and followers of Christ. One of my Nonconformist friends was Rev. Belcher, minister of the Congregational Church, Hackney. He invited me to occupy the pulpit, and I did so. There was a great congregation, and when in the heart of my address I denounced the hypocrisy of the churches, there were hisses. as I proceeded there were cheers, and for the space of thirty or forty minutes there was frequent alternations of cheering and hissing. My close friendship with various ministers of religion led to the circulation of a report that I was about to enter the Church. One morning a pressman called upon me to ask what truth there was in the statement that appeared in The Times: "We are informed that Mr. Tom Mann, the well-known Labour leader, is an accepted candidate for Deacon's orders in the Church of England." Socialism is co-operation, the method of Individualism is competition. The one regards man as working with man for a common end, the other regards man as working against man for private gain. The aim of Socialism is the fulfillment of service, the aim of Individualism is the attainment of some personal advantage, riches, or place of fame. socialism seeks such an organisation of life as shall secure for every one the most complete development of his power. Individualism seeks primarily the satisfaction of the particular wants of each one in the hope that the pursuit of private interests will in the end secure public welfare. Middleton Murry decided to practise what he was preaching and establish his own advance post of the new Christendom on a 183 acre farm in Suffolk in October 1942. He too noticed "a strange carelessness, amounting to a resentment of order" amongst the membership. This was particularly the case with regard to the farm tools: in a situation where they were considered to belong to the community as a whole, too often no-one took responsibility for caring after them, symptomatic in Murry's mind of "a rank confusion of thought, which sees no difference between non-attachment to possessions and carelessness towards them." As in the case of so many community projects, factions developed between the dozen or so individualists who made up the membership. Murry was subjected to a lot of criticism as he insisted on retaining financial control of the farm, having invested all his capital in the project. Murry, for his part, charged that like most zealots for "community", they did not really think about finances at all. They were fascinated by their own Utopian vision of self-governing community - a vision uncontaminated by mundane realities. Like communities before and since, the farm seemed to attract more than its fair share of eccentrics and oddballs - people who appeared to be motivated more by the desire to escape the constraints and responsibilities of the "outside world" rather than by a positive vision of how to remake the world. In my political work I have found that my Christian experience has given me a fresh dynamic. I am certain that the Labour Party will lead this country to success if it clings to the fundamental principles of Christianity in its interpretation of our modern industrial and social problems. Dialectical materialism as expressed by Marx and Lenin, seems to me an excuse to enable individuals to ignore personal moral standards and to justify themselves under the cloak of proletarian interests. The working class to me is made up of millions of human beings like myself, with the same human kindnesses, the same hatreds, the same weaknesses and the same aspirations. True happiness cannot come to the workers at the expense of the happiness of any other section of the population. It can only be obtained by justifying the claims of the working people in the eyes of their opponents. The success of Socialism can only be achieved by ensuring that all people see the justice and the beauty of it, and willingly join in building it. No true philosophy can endure on a basis of hatred. Socialism, to me, is beautiful and practical. There is nothing more practical than a freely convinced human mind; all other things, all other sacrifices, all successes, will come from that. People in the mass will be convinced when they see living examples of the beliefs which modern politicians proclaim.